MILKEN WINNERS: Kelly Sutcliffe stands with Gov. 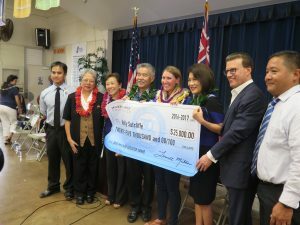 Ige and the first lady, superintendent Kathy Matayoshi, Lowell Milken and others from Jefferson Elementary School. The national Milken Educator Awards have been called “the Oscars of education” and come with a $25,000 cash prize. But this year’s winners say the real reward happens every day in their classrooms. This year’s winners, who were surprised at school ceremonies last month, impressed the Milken Family Foundation with their innovative lessons in science, technology, engineering and math (STEM). 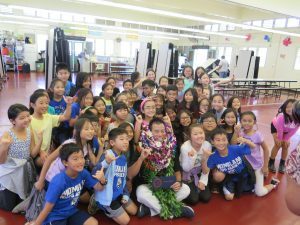 Masaru Uchino, a third-grade teacher at Momilani Elementary School in Pearl City and Kelly Sutcliffe, a fourth-grade teacher at Jefferson Elementary in Waikīkī were praised for making learning fun with hands-on science experiments to understand real-world issues such as climate change and sustainability. Both philanthropist Lowell Milken and the governor praised the teachers for their ability to inspire students. “These students are on a path to become the innovators and visionaries of the future,” said Milken. 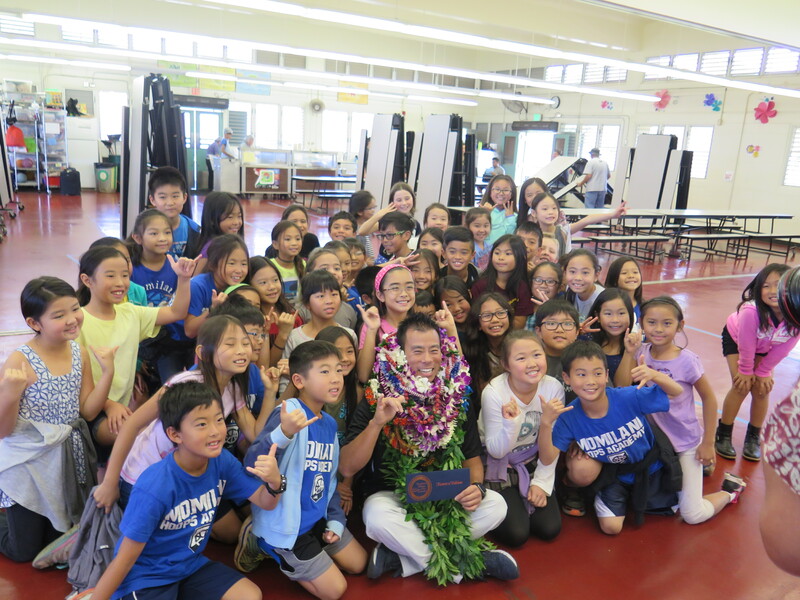 MILKEN WINNERS: Masaru Uchino surrounded by his third graders at Momilani Elementary. Read more in our March issue.